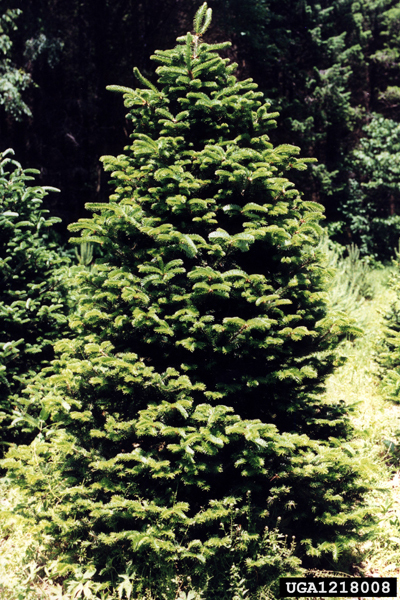 A narrow, pyramidal tree with glossy, dark green needles. The undersides of the needles have two white rows. Not suited for hot, dry sites as it prefers moist, well-drained sites.